Originally published by US-China Today on January 22, 2019. Written by Zhengqian Li and Shuhao Liang. 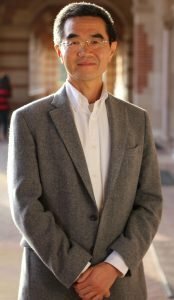 US-China Today spoke with anthropology professor Yan Yunxiang from the University of California, Los Angeles. Prof. Yan has research interests in economic anthropology, social change and development, family and kinship, exchange theory, peasant study, and cultural globalization. In your book The Individualization of Chinese Society, you focus partly on the youth population born in the 80s and 90s. Is there any major difference in the development of individualism between them and the China’s post-’95 generations? The ’90ers were born in the age of the Internet. There are some important differences between the ’80ers and ’90ers, but I don’t see radical differences between the ’90ers and the ’00ers. The ’80ers generation was not able to access information directly before the internet age. Also, as the first generation after the implementation of the one-child policy, those born in the 80s were facing an entirely new familial and social environment that they had to consciously adapt to, while those born in the 90s or after 2000 were already part of this new social setting. You mentioned in an interview that youth born in the 80s and 90s, while experiencing ongoing individualization, are taking on more family duties as they enter society. Do you think that as young people strengthen their family ties, the individualization process will slow down? As for how individualization eventually leads to individualism or not, the answer varies from one society to another. In the Chinese case, individualization simultaneously means the formation of individual identity and the awareness of individual rights. Those concepts were originally promoted during the May 4th movement in the early 20th century, and in the 1990s they came back. But this is only one aspect of the process, which alone does not mean there is individualism. I’d like to draw your attention to another thing: life course. People do different things at different stages in life. Therefore, after the threshold of [one’s] early twenties, the individual enters into adulthood and then gets married to start a family. So naturally that person’s ethical values change. This is exactly what has happened to the ’90ers and ’80ers generations. When they take up family duties, they seem to reproduce what their parents did to them, such as laying all the hopes on their only child. And [this has] led to what I recently referred to as “descending familism,” meaning all the resources and attention in a family group go to the third generation. Individualism means one has to stand on one’s own feet and know the purpose of one’s life — that is, to make life meaningful to the individual instead of serving other purposes. So making one’s child the whole purpose of one’s life is not individualism. My conclusion is that neither the ’90ers nor the’80ers generation has individualism in the strict definition. I would even predict that the post95 generation will repeat this process. We are interested in your concept of the ‘uncivil individual’. It is relatable to our perception of the behaviors of some Chinese students here. For example, some Chinese students in US colleges tend to take financial exploitation of their parents for granted. And that in turn fuels rivalry within the community, e.g. buying luxurious goods, sports cars, etc. Does this kind of phenomena relate to the concept of the ‘uncivil individual’? I used the concept of uncivil individual in my 2003 book Private Life under Socialism: Love, Intimacy, and Family Change in a Chinese Village, 1949-1999. It refers to the imbalance between rights and entitlements on one hand and duties or obligations on the other. It sounds like the concept still applies to these students in the way you put it: being exploitative of their parents and living a life of luxury. Over the years, I have shifted my attention to what I refer to as neo-familism. I realize these phenomena have a lot to do with the parental generation as well. Many parents tend to spoil their kids and feel good about it so long as the kid stays close to them. Parents and kids cannot be viewed as separate individuals; they are inextricably bound together. And that is the core of Chinese personhood. Therefore, looking at this bond from the perspective of individualism, the Chinese parents-children relationship is far away from being truly individualistic. Instead, it resembles a kind of intergenerational, mutual dependence and shared identity through which they define each other. Of course, there are many other young people who don’t exploit their parents. But in terms of the close ties between parents and children, it is the same for many Chinese families. Since Deng’s economic reform and turn from Maoism to ‘Socialism with Chinese characteristics’, we have seen a decline in collective cultural identity among new generations. And this collapse of cultural identity is what we think underlies the rise of individualism in China. Is this kind of ‘individualism with Chinese characteristics’ more like egoism rather than the classic western philosophy of individualism? I’m glad that you used the expression of classic western philosophy of individualism. This question is closely tied to this concept. We must keep in mind that even in American society which embraces individualistic values, not everyone practices this philosophy of individualism. The core of this western philosophy of individualism focuses on individual autonomy and dignity. It also means that the individual is the end, instead of a means to any other end. In Chinese culture, an individual is usually taught by parents, teachers and maybe somebody else on how to be a person who lives her or his life for a higher purpose, such as being a filial son or daughter, or being a patriotic person to pay back to your motherland, etc. It is the higher purpose that defines who you are. So we are talking about two totally different philosophical traditions. I increasingly feel that being a Chinese person in Chinese society makes it very difficult to be truly individualistic according to the definition of the western philosophy of individualism. Instead we can talk about it in terms of more or less: it is like a spectrum rather than two extremes. Over the past four decades, the Chinese individuals have become more individualistic. That is something pretty clear. We have observed that many Chinese youths now are taking for granted the assumption that humans are self-interested in nature. We think this phenomenon is likely a result from what you have termed as “the legitimization of desire” which symbolizes the major transformation of values in socialist China. Interestingly, this is the opposite of the Marxist assumption which contends that self-interestedness is a result of capitalistic social construct, and it’s possible to eliminate. Do you think that the post 95 generation, especially those who have studied abroad in western countries, are therefore turning away politically from socialist ideology? During the past ten to fifteen years, many Chinese parents sent their kids to study abroad at an early age. Many started middle school here in the US. I’m inclined to say that when they eventually come back to China, they tend to be even more nationalistic and politically embracing of the Chinese style of authoritarianism (not the Maoist ideology but the current version of Chinese authoritarianism). Living and studying in the western society does not necessarily change the ideology they believe in. This is something very interesting. Do you think it is the economic prosperity that came with the CCP’s adoption of market economy in the late 70s that underlies people’s support of the current government? It’s probably not as simple as that. High school and college students form the judgment largely based on their own experience, mostly related to their campus experience. So the kind of nationalist education they have received while they were in China is likely to be reinforced as they enter an entirely different life situation in a foreign nation. As they face all kinds of challenges in their daily life, dealing with different cultures, all these things added up to reinforce their awareness of identity. This particular situation forces one to think about one’s own identity. That’s why many of these young people start to embrace what they have resisted before. So the post-95 generation is not necessarily turning away politically. It is because their life courses change or because of other factors. We cannot assume the generation of youth is more individualistic or more westernized. Also, students become more nationalistic not necessarily for political reasons; rather, it is for cultural reasons. They just simply feel more comfortable about Chinese culture. For instance, I think among the Chinese students there is a popular saying “Mountains so beautiful, lakes so pretty, life so boring”（好山好水好无聊）. There is an important and very subtle indication in the last phrase “life so boring.”, calling our attention to this very intimate and small world of interpersonal relations. Living in the US, newcomers have to adapt to its social setting to some extent. They have to understand this new way of living. No one can invade other people’s private spaces and each individual is independent. People are autonomous, and that also means interdependence is discouraged. When encountering all these, Chinese youth, probably for the first time in their life, need to stand up and face the world alone.